The recipe that I am going to share with you is “Niramish Bhog-er Khichuri”. 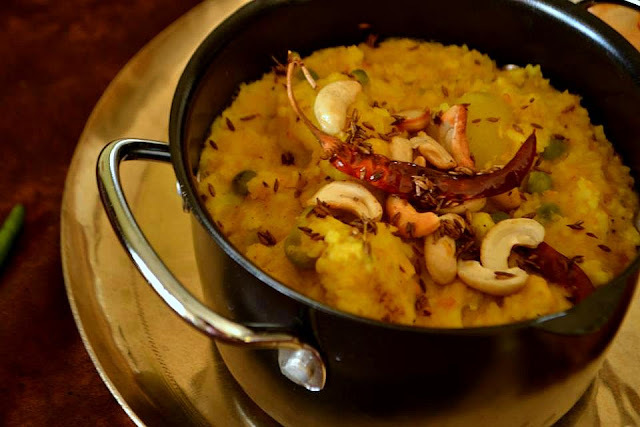 Niramish Khichuri what we also called Bhog-er khichuri is offered to the Goddess in Bengali Pujas like Sarawati and Durga. 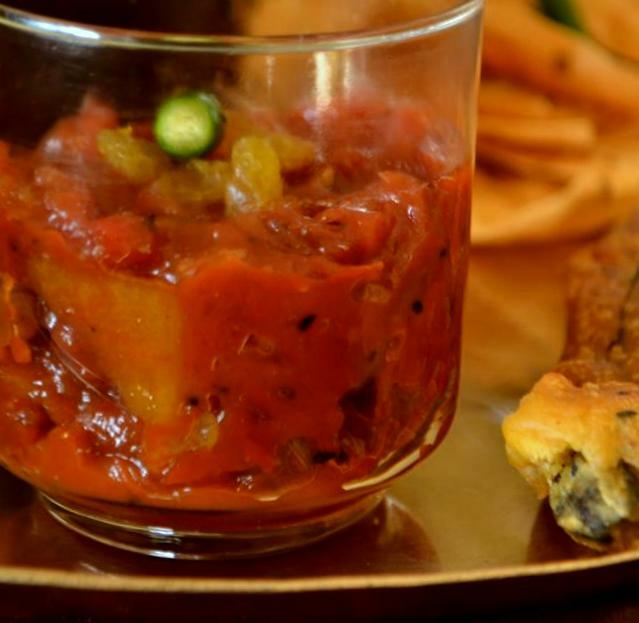 On the puja day, it is served as lunch to the devotes along with some 'bhajis', 'labra' 'chatni', fruits and 'kheer'. 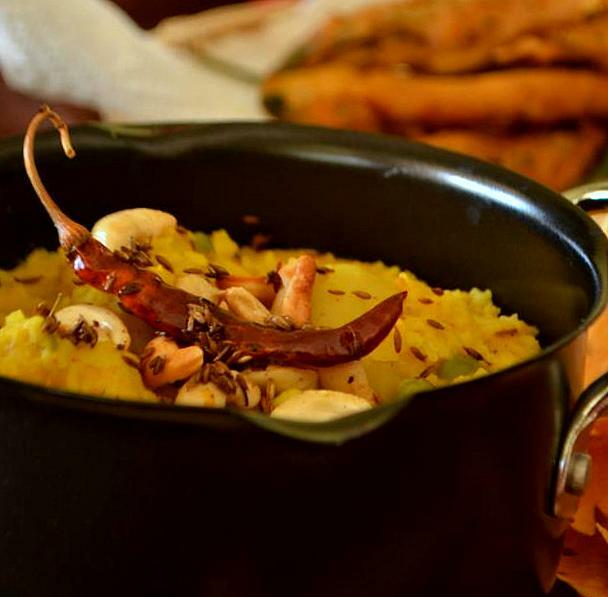 This khichuri is made almost in each and every house and Puja-pandals on that day. A similar form is also a delicacy in Bengal during rainy season. 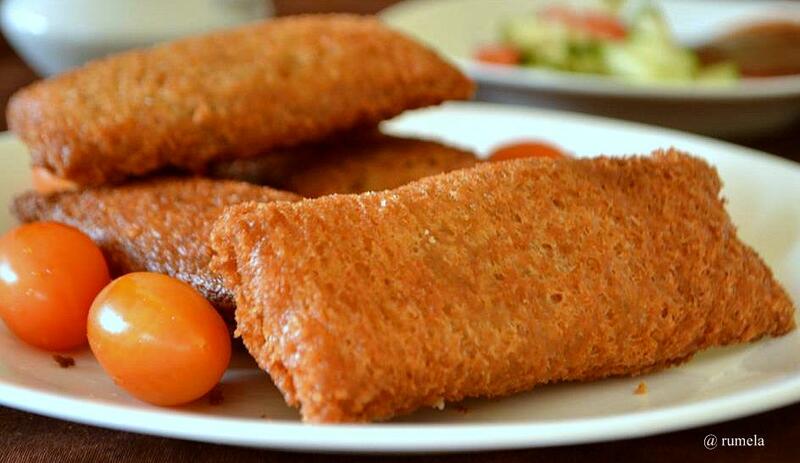 You can consider this a nutritious food as spices and oil are used very less in this dish. It is basically a rice based dish cooked with roasted moong daal (yellow lentils) along with some vegetables like cauliflower, peas, potato etc. 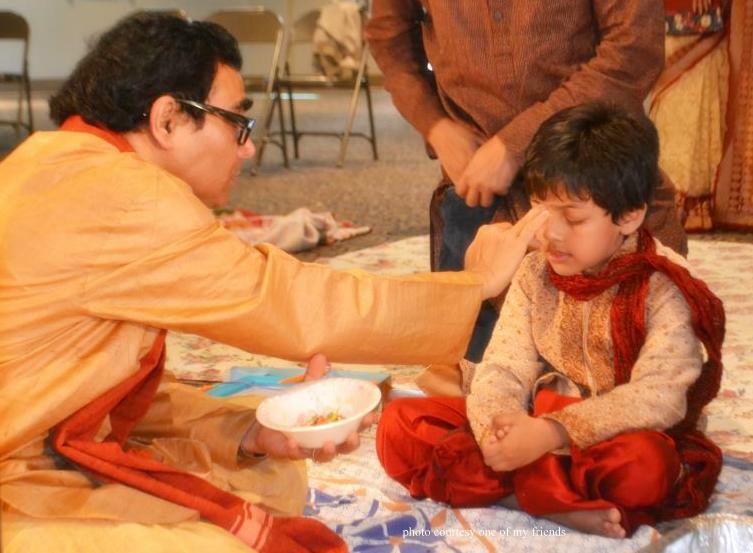 This year Saraswati puja was special to us as our son did his 'Hatekhori' on that day. Saraswati is the Hindu goddess of knowledge, music, arts and science. She, the goddess of learning and creativity is worshiped on the 'Vasant Panchami' or the fifth day of Bengali month 'Magh'. This puja is very popular among learners, celebrated in schools, colleges and clubs. “Hatekhori” is the auspicious process where children starts to write their first words in front of Saraswati. The kids write the word 'Ma' or some spiritual words and introduced with the Bengali alphabets with the help of priest. We were so excited ! Though he started writing couple of years back, yet it was one of those customs we all followed and reminds us of our childhood. 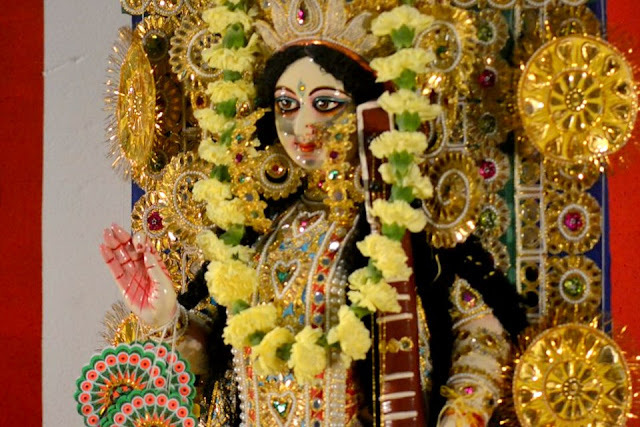 Coming to my childhood, we have so many sweet memories of Saraswati Puja at our school or college. It used to be always a great fun. Last ten years we are far away from our own place but thanks to San Diego Bengali community called Saikat, we still get a chance to participate in this festival. Initially in abroad, we used to miss the Puja day a lot. But nowadays we feel happy about the fact that here in overseas, we get a chance to see the face of the Goddess, can offer Puspanjwali, enjoy khichuri bhog with friends. Our kids too enjoy the day a lot ! It is very nice to see the small girls draped in sarees and little boys are in dhoti or in traditional dress. 1. 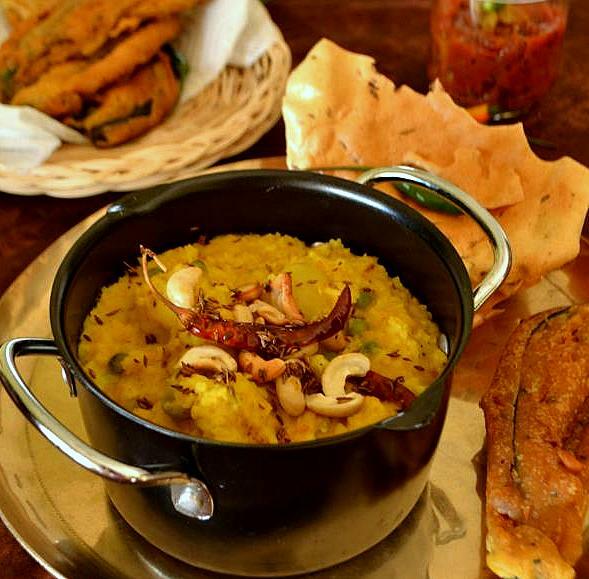 In a big deep bottomed pan or kadhai roast, the yellow lentils over medium to low flame. 2. Keep stirring until the color changes and nice smell comes up. Wash the roasted lentils nicely and let it cook with enough water like 7-8 cups of water. Then add turmeric powder and half of the grated ginger. 3. When the lentils are half cooked, add tomato pieces, other vegetables and add salt. Let them cook for another 5 minutes or so at low flame. Then add the washed rice. 4. Cook it until everything is soft and done. In between, give some stirs. Once it's done, mix it well, check seasoning and check for the consistency. If it becomes too dry add some hot waters. 5. In a small pan, heat the ghee and put the chilies. Then add cumin seeds and whole garam masala (cardamom- cinnamon - clove). When it splatters and nice aroma comes up, add the remaining ginger, cumin and coriander powder mixed with 2-3 tablespoon of water. 6. Cook them until oil separates from the side of the pan. Add the masala with the cooked rice and lentils mixture. Let them cook for another 5 to 7 minutes and mix it nicely. Yes, your delicious Khichuri is done!! It was Feb 14; the day of romance, valentines from all over the world was celebrating. Though it was a weekday and I am not too crazy about observing these specific days, still felt like making something special for my two loves. So I was wondering what I should make, be it Red Velvet Cake what they love most or something else. Suddenly it popped up in my mind that a few months back I had a delicious cake on a birthday party and I had taken a snap too. Yes! Let’s make that cake, I decided. I saw the picture in details and started searching for the ingredients. It was a strawberry colored cake, with strawberry syrup and white chocolate frosting. 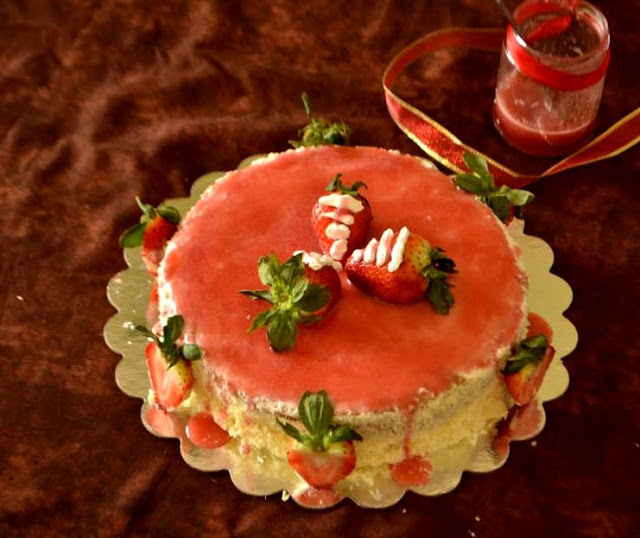 Generally I see very dark red color in most of the cake pictures where strawberry syrup is used. I wanted to avoid that. So I bought some fresh strawberries and made my own syrup. I was very happy to see the color; it’s exactly the one I was looking for. As you know, baking is the key part of making a cake. It’s my favorite subject and I just love it. Though I started my baking journey couple of years back, I am still learning the tricks and trying to improve. Off late I started to love the cake decoration art. This is my 4th or 5th cake that I decorated. What makes me happy when my family members comment ‘‘WOW!! did you bake it?'' :) and my little one will ask me to make similar cakes for his next birthday based on his favorite theme, though he loves to cut the cake rather than having it!! 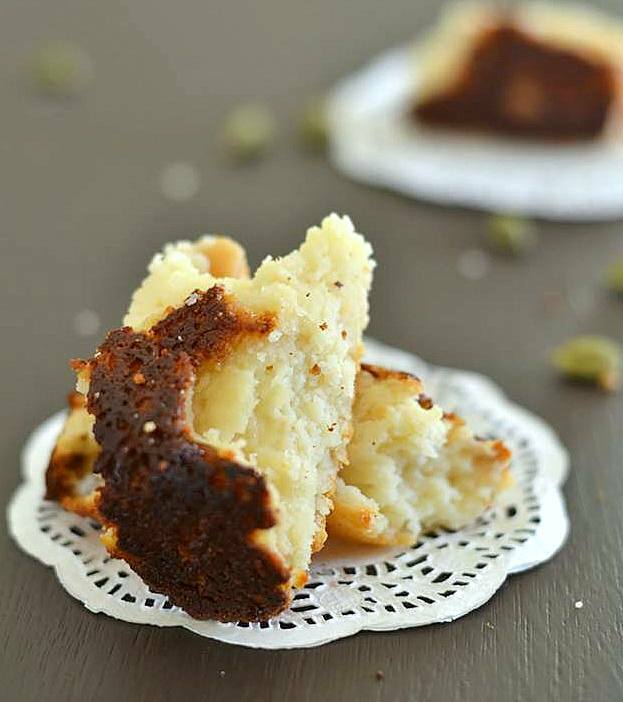 The base cake is a simple vanilla cake, that our mothers or grand mothers used to make, it is rich, moist with a lovely golden brown crust and the decoration part is completely from my mind, choose as per what we like. 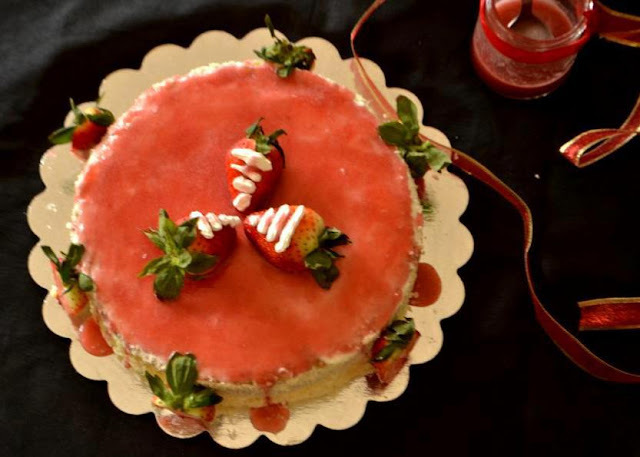 Here is the recipe of my Strawberry Cake. 1. Preheat oven to 350 degrees F(177 degrees C), place rack at the center of the oven, grease the pan with butter or spray with a non stick vegetable spray. 2. In a medium bowl, whisk together the eggs, milk and vanilla extract. Now in another bowl, (or you can use your electric mixer bowl if you have any), place the dry ingredients (flour, baking powder and sugar) and mix them nicely with a spatula. 3. Add the oil and half of the egg mixture. Take a hand mixer and mix them well on low speed until the dry ingredients are moistened. 4. Increase the mixer speed to medium and beat for about one minute, and gradually add the remaining egg mixture. Again beat the mixture about 30 seconds after each addition of egg mixture. 5. Pour the cake batter into the greased pan and smooth the top with an offset spatula or the back of a spoon. 6. Bake for about 35 to 40 minutes (depending on your oven) until the cake is golden brown and a toothpick inserted in the center comes out clean. 7. Remove the cake from the oven and place on a wire rack to cool for about 10 minutes. Remove it from the pan and cool completely. 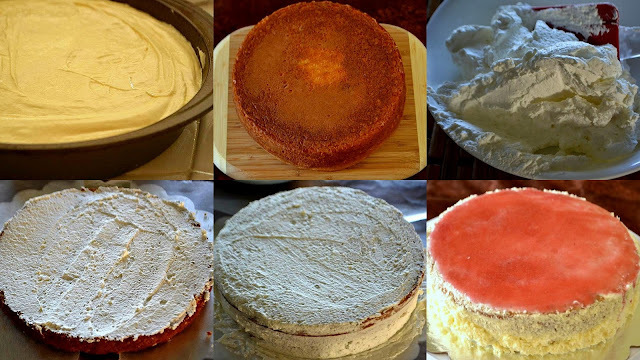 If you want to make a simple vanilla cake, then it is ready to serve, don't need to follow the rest of the part. 1. Place sugar and 1/3 cup water in a small saucepan, stir and bring to a boil. Simmer until the sugar is completely dissolved. 2. Allow the syrup to cool completely. 3. Place half the berries in the jar of a blender; add lemon juice and all the cooled syrup, puree until smooth. 4. Press through fine strainer to remove some of the strawberry seeds, if desired. 5. 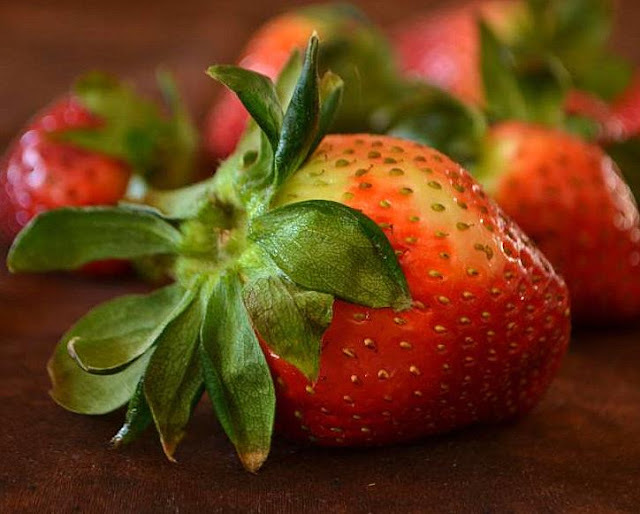 Coarsely chop remaining strawberries and add to strawberry puree. But If you like clear syrup that I put on the top of the Cake, you can skip this step. 1. Place a mixing bowl and wire whisk in the freezer for about 15-30 minutes. 2. Then place all the ingredients (whipping cream, sugar and vanilla extract) in the cold bowl and beat just until stiff peaks form, immediately cover and refrigerate it. 3. Make some Chocolate curls with the white chocolate bar. Place a bar of chocolate on waxed paper, make chocolate curls by pulling a vegetable peeler. 4. This is the final step which is to assemble the cake. Once the cakes are completely cooled, wrap in plastic and place the cake in the refrigerator for at least an hour. 5. This makes the spreading of the frosting a much easier task as a freshly baked cake is quite fragile and when you try to spread the frosting, there is a tendency for the cake to tear. 6. 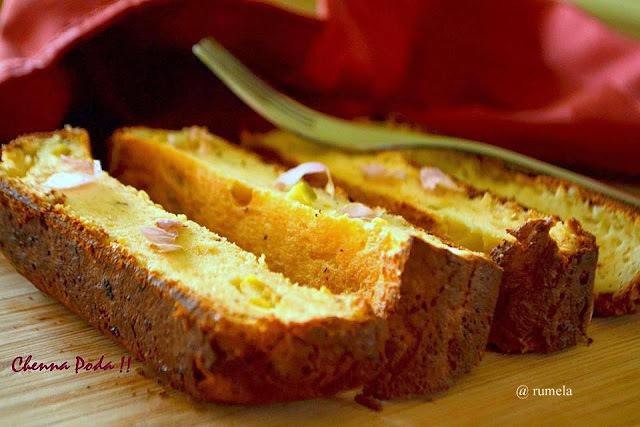 With a serrated knife, cut the top swelling part off and then cut the cake in half horizontally. 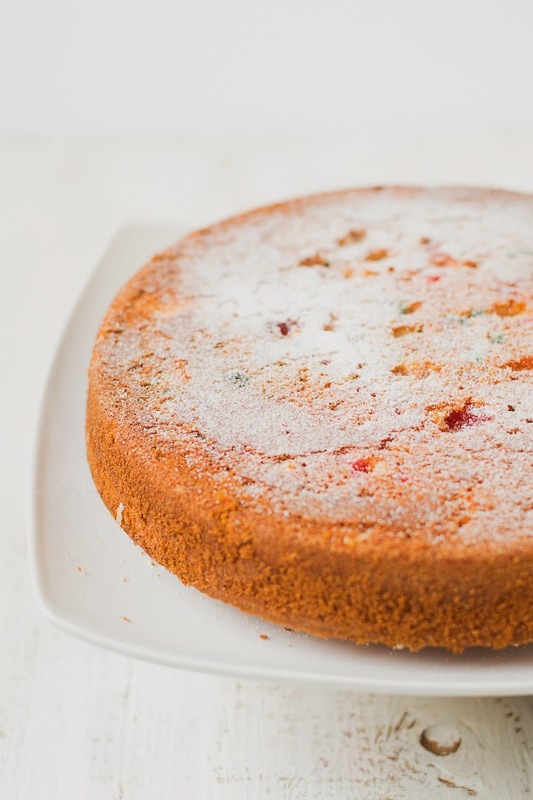 Place the layers, top of the cake facing down, onto your serving platter. Spread the cake layer with a layer of whipped cream frosting. 7. Place another layer of cake on top of the frosting and continue to frost. Frost the top and sides of the cake nicely. I'm sharing a video of allrecipes.com. This would be a great help. 8. Take the white chocolate curls on a wax paper, press them loosely on all the side of the frosted cake. With a spoon slowly pour the strawberry syrup, spread it well on the top of cake. 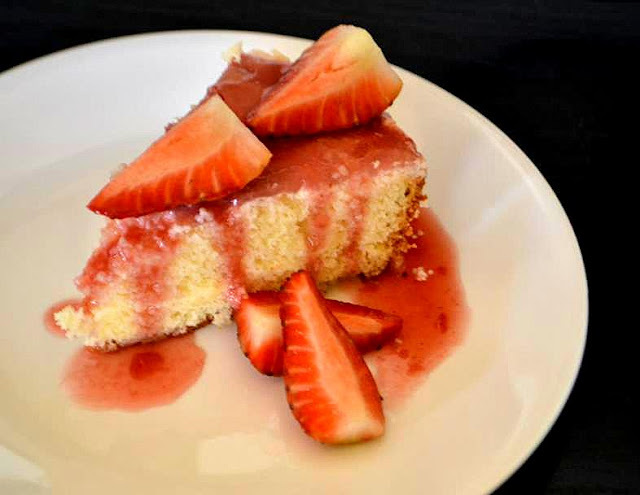 Note : If you wish, you can put some fresh strawberry pieces into the layers. Good morning, hope everybody is doing well. Wow ! what a week it was. Though I am a home-maker and don’t have hectic work schedule, I do volunteer work for my kid's elementary school. Last week they had couple of events like celebrating one hundred days of school and valentines day. So I didn't get a plenty of time to spend at my kitchen. Meanwhile I was searching some easy yet new recipes of chicken to try out. In last December we came back from a vacation in India. Like every time, I got some recipe books this time too from my dad. The book is written by legendary Supriya Devi, named 'Benudir Rannabanna’. She doesn’t need any introduction for my Bengali friends. For others, She is a celebrity in Bengali Film Industry and on the other hand, wife of a great Bengali actor Uttam Kumar. At the same time She is a great cook too. We used to see her crockery shows or recipes in TV channels and in magazines. 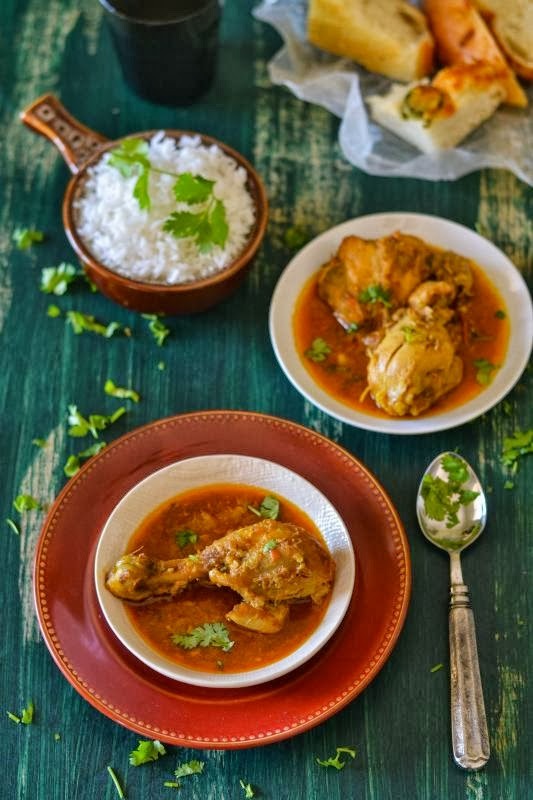 This is basically a simple chicken curry, made with some whole ingredients. 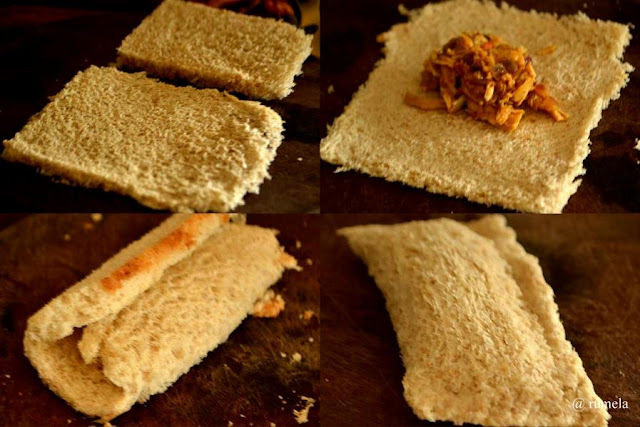 It is not only a very simple recipe but straight forward and quick to make. 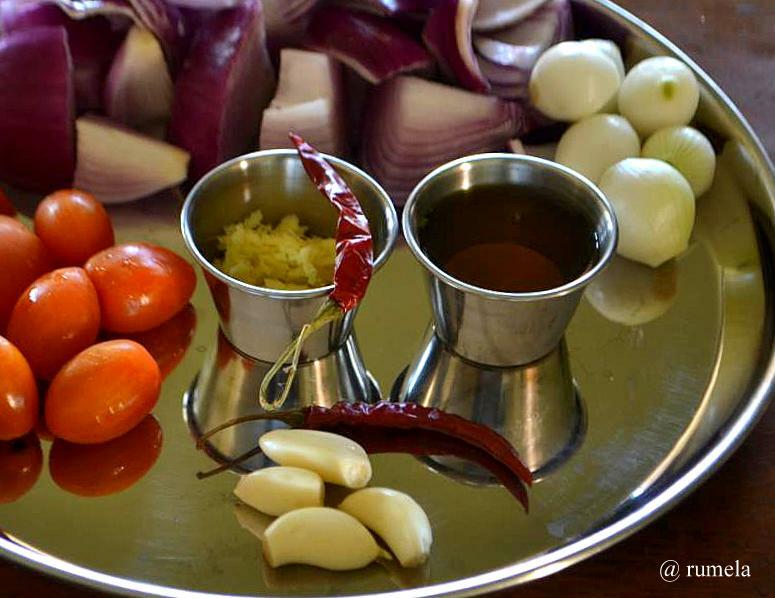 Chicken along with the whole 'masala' will be cooked in a slow-cooking process. There is no so-many steps like add onion first, then ginger, then garlic, just marinate the chicken with all for some times, then let them cook by t hemselves. 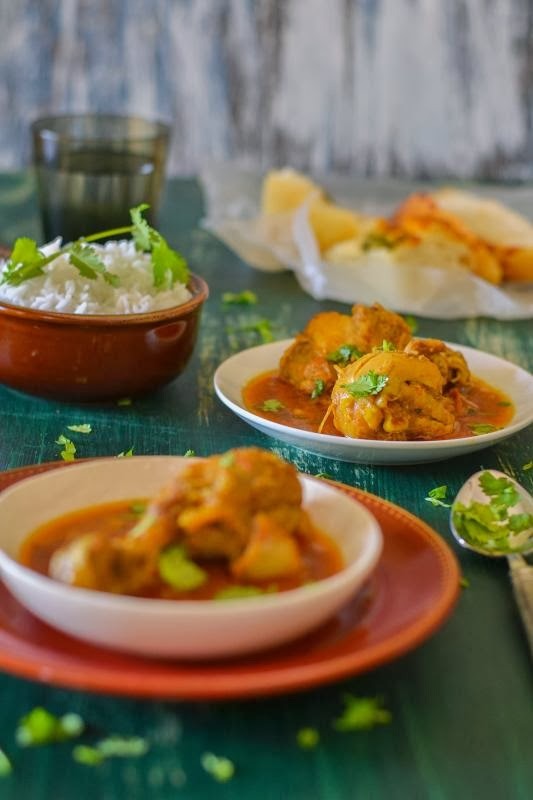 When you are lazy, but want to tickle your taste buds try this mild spicy chicken. 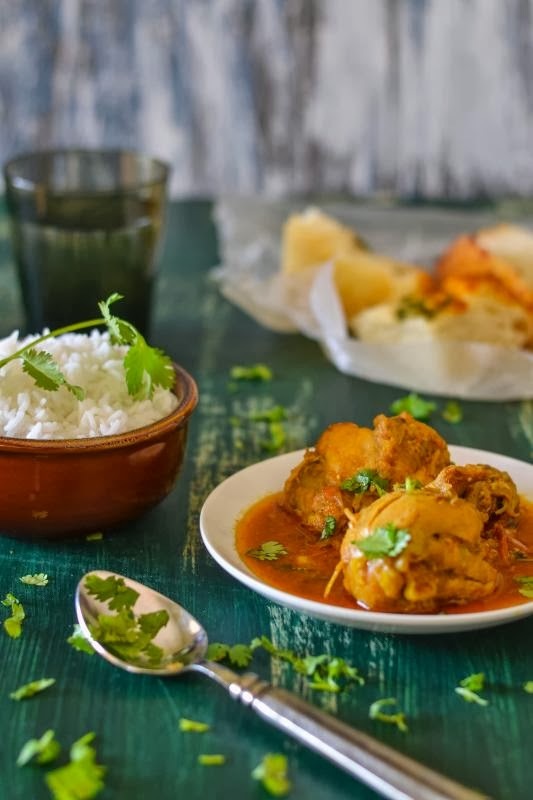 Please note that there is no special spice or magic in it, all the ingredients are very common ones those you will find in almost every Indian kitchen. It looks like an authentic Bengali recipe and so I used mustard oil but you can use the white refined oil too. Since in my refrigerator I had some pearl onions and cherry tomatoes, I used them too. 2. Tomatoes - 2 big cut into 8 pieces. 3. Onion - 2 big cut into 8 pieces. 1. Cut the Chicken into medium pieces, wash them nicely. 2. Add onion, ginger, garlic, tomato, salt, turmeric powder, whole dry kashmiri red chilies with the chicken pieces. 3. Toss it well and rest them for half an hour to one hour for marination. 4. Take a heavy-bottomed pan, put the oil, once the oil hits up, pour the marinated chicken. 5. Lower the flame and cover it. Chicken will release some water and it will be cooked by that. 6. When water dries up, give some stirs, and when oil separates and starts to leave from the side of pan, put a cup of water. 7. Add salt, cover it and let it boil for some times at medium heat. Once chicken is tender and soft, add sugar and check seasoning. Let it cook another 2 to 3 minutes over medium to high flame. 8. Turn off the gas, garnish with some fresh cilantro and serve with steamed rice or any Indian flat bread. 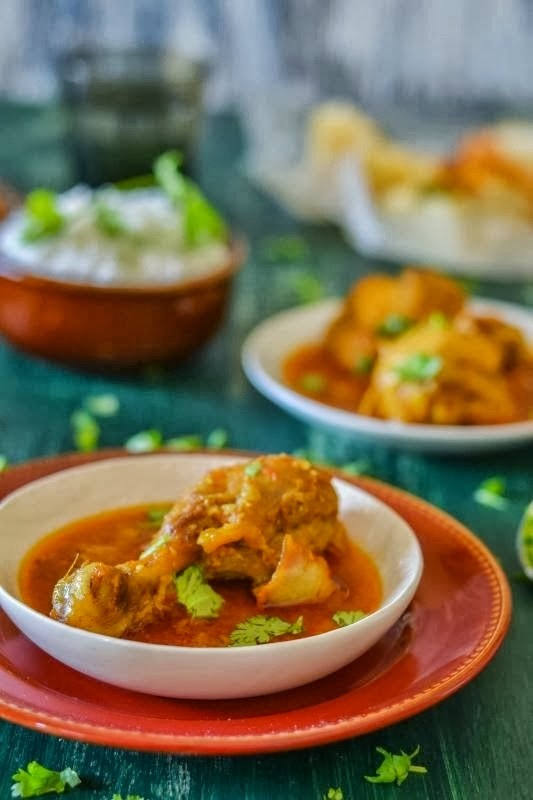 We Bengalis often make this dish on the most auspicious days like birthday, wedding, first rice ceremony or in the 'Grihoprobesh' (house-warming ceremony). Sometimes in Pujas we offer it to the God or Godess. People belive it brings good luck! Yes, I am talking about Payes. Since my childhood I used to see my grand-mom or mom making so many types of Payes. 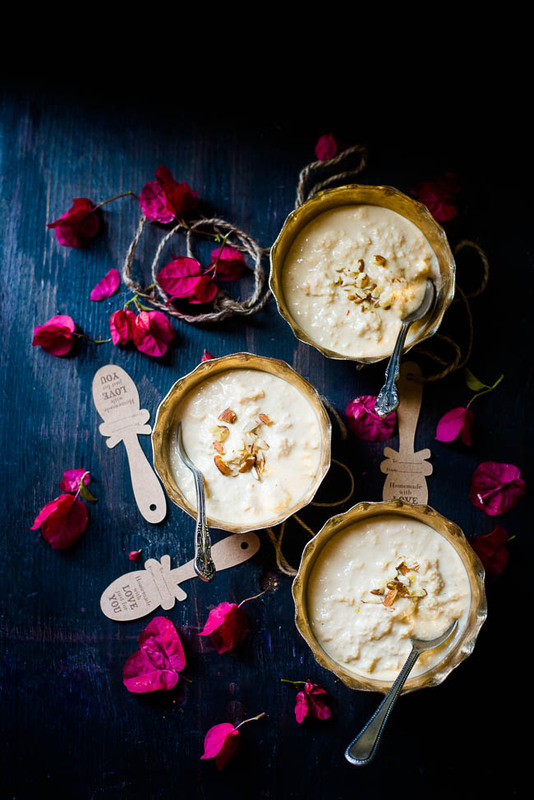 Sometimes it is normal 'chaler payes' (rice-pudding) what in the most part of India is called Kheer, sometimes chhanar payes, sooji-r payes (semolina pudding), simui-r payes(vermicelli pudding) and so on. 1. Heat 1 liter milk in a pan. Once it starts boiling, pour the vinegar. Reduce the flame to lower and stir gently. The milk will curdle and whey will separate. 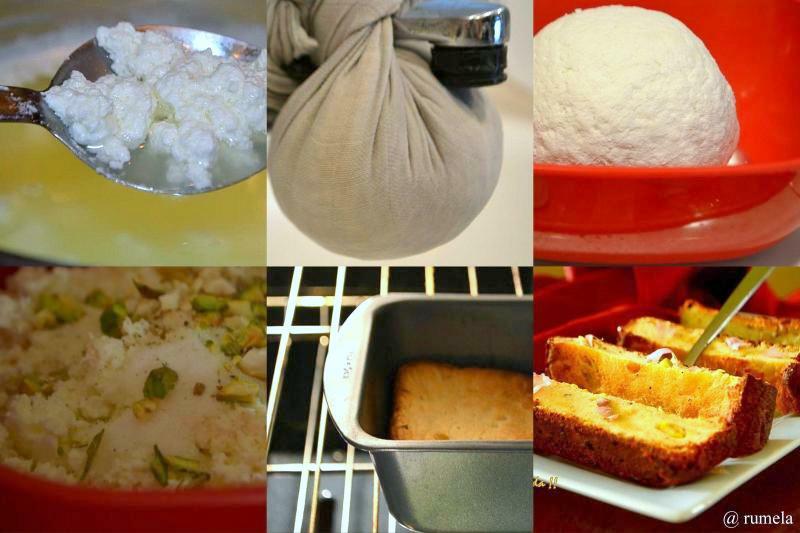 Strain the chhana ( cottage cheese ) in a muslin cloth or cheese cloth. Put it under running cold water and then hang it for half an hour to 1 hour. 2. Heat 1 liter milk in another heavy bottom pan on medium to low flame. Stir continuously to prevent it from burning at the bottom. The milk will start to thicken. Continue to stir till it becomes thick and creamy. 3. Add condensed milk. Stir gently and mix them nicely. Check the sweetness and add sugar as per your taste. 4. Add the crushed cardamom. 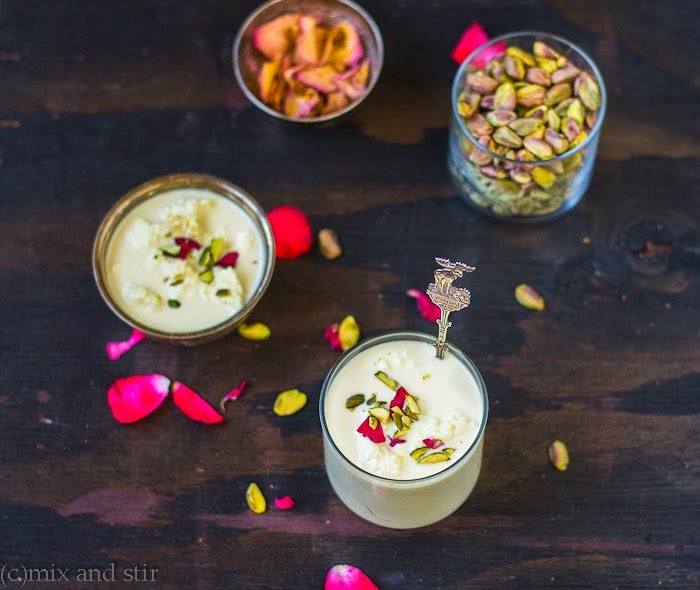 Now get the chhana out of the cloth wrap and add it little by little in the creamy milk. 5. 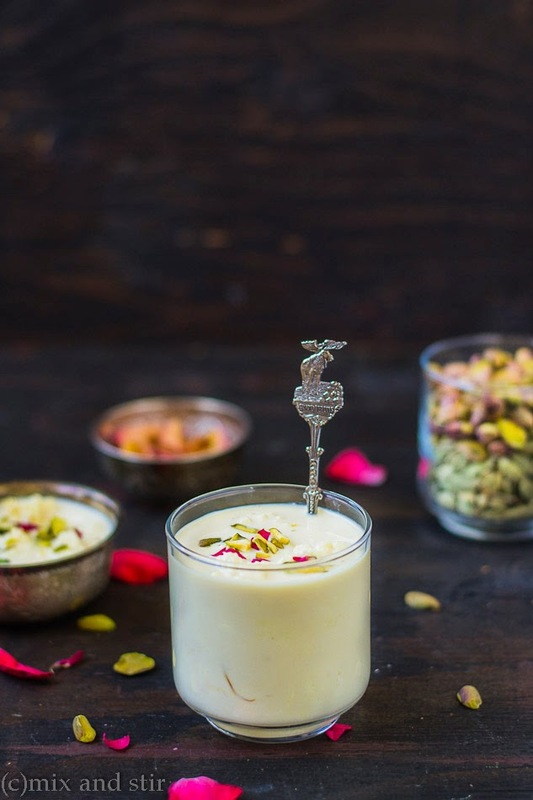 Stir it slowly to mix the chhana with it.When all the chhana is added, let it simmer on low heat for 4-5 minutes. 6. Make sure there is enough liquid (milk). 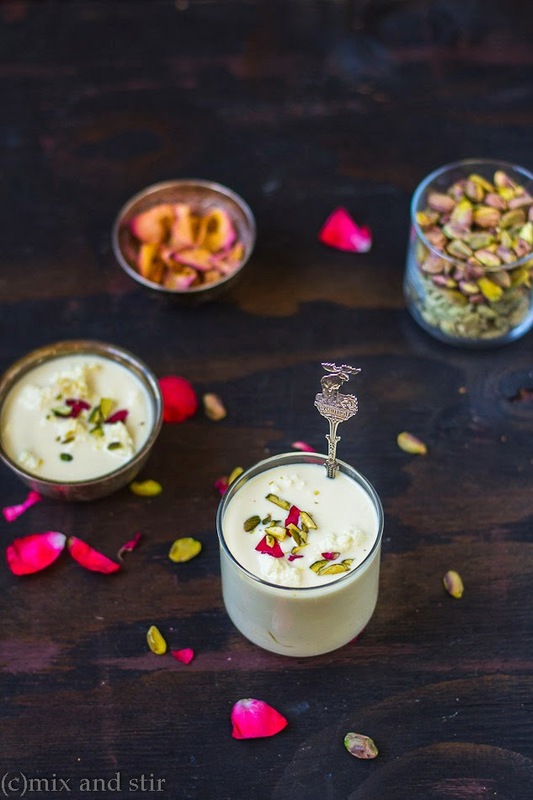 The chhana will soak the milk during the process of cooling. 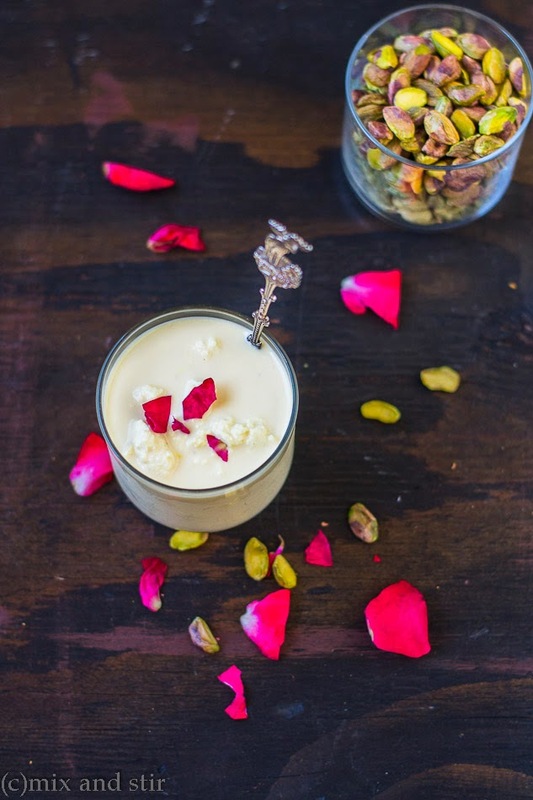 The consistency of the Chhanar Payes should not be so runny or too dry. 7. 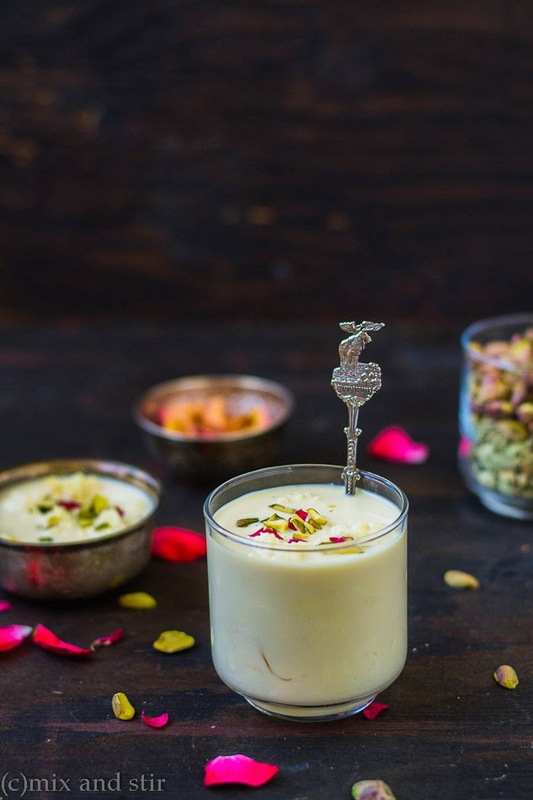 Turn off the gas and let it cool down.Serve chilled with a sprinkling of chopped dry-fruits. 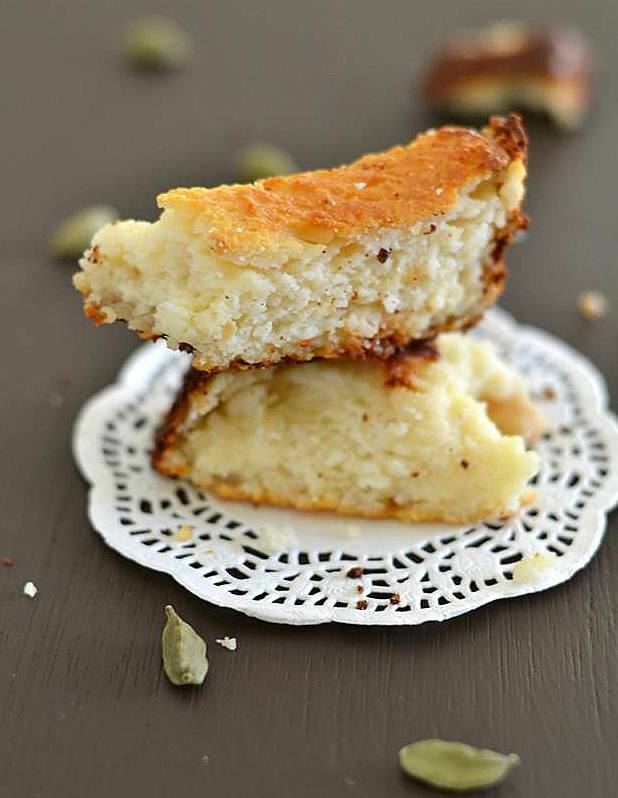 Chenna Poda, is a delicious cheese cake from Orissa, very popular in eastern part of India. 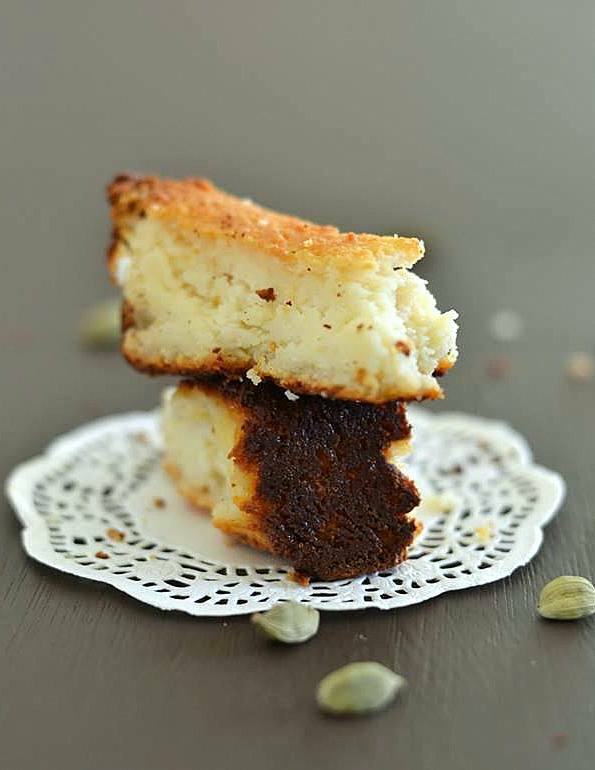 The name literally means burnt (poda) cheese (chenna) .This is simply awesome dessert, made by home-made paneer/chenna and some dry fruits. 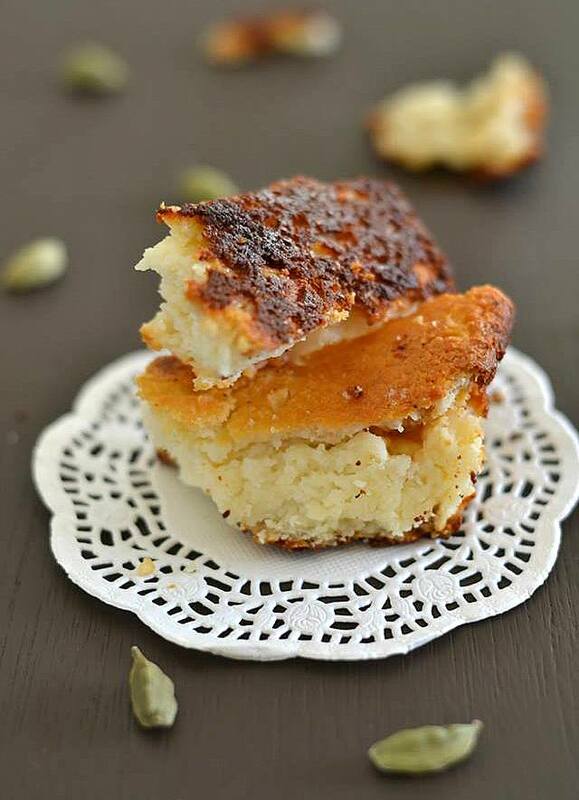 It makes a cake-like soft dessert with a layer of caramelization all around. This gives a distinct flavor and a nice color as well. Boil the milk in a pan and stir continuously. Once the milk starts boiling, lower the flame. Pour the lemon juice. Stir the milk. 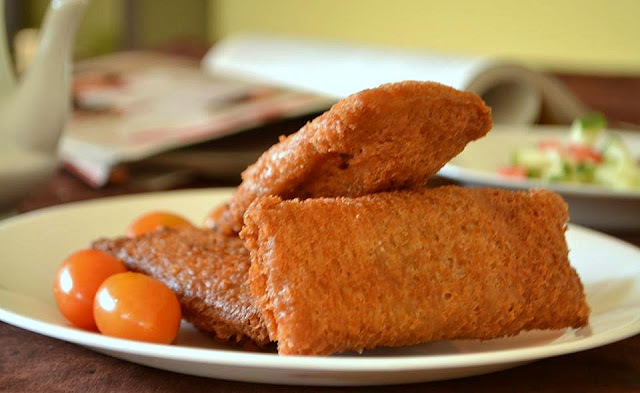 Once the milk starts curdling, and it changes into chenna(cottage cheese) and greenish water, remove the pan from oven. 2. Leave the chenna in this condition for 5-7 minutes. 5. Hang the chenna along with the cloth on the kitchen tap / faucet for 30 minutes. Please note that the Chenna shouldn’t get too dry. If it gets dry, the cake won’t be soft enough. 6. Now in a big bowl, take the chenna out, add sugar and mix it nicely. Then add semolina, ghee and knead them together with your palm. 7. Now fry the dry fruits with a 1 tbsp of ghee and mix them with the chenna. Add the milk and cardamom powder, mix it nicely. 8. To get the caramelized effect, apply 1 tbsp of ghee to the bottom of the baking dish . Sprinkle with sugar and hold it above a gas stove. Sugar will start melting within a few minutes. Then spread the sugar evenly. 9. Now pour the chenna mixture over the caramelized sugar. 10. 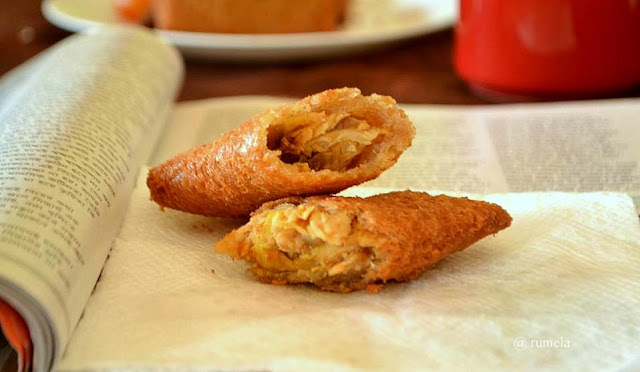 Preheat the oven to 350 degrees F or 177 degrees C. Bake the chenna mixture for 35 to 40 minutes until the top turns to light brown and until a toothpick inserted into the middle of the chenna comes out clean. 11. Once it is done, let it cool down for 20 minutes, turn it upside down and cut it into pieces with a knife and serve!